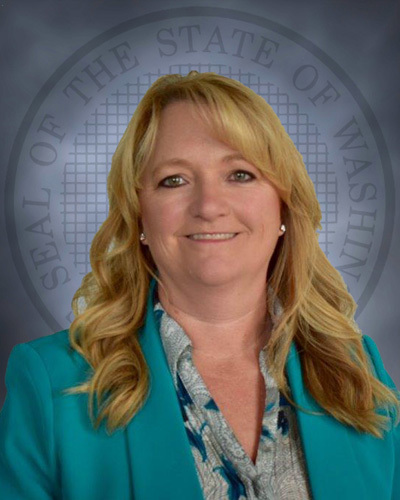 TUMWATER – Loretta Taylor has been named as the new Education Services Administrator by Assistant Secretary for Reentry Danielle Armbruster within the Washington Department of Corrections, effective Monday, January 28, 2019. Taylor currently serves as the Assistant Dean of Education at Washington Corrections Center for Women. “Loretta brings both experience and passion to her new role. She has an established reputation of accountability and professionalism. I am confident she will continue to cultivate a culture focused on community partnerships and education” said Armbruster. Taylor began her career with the department in 1993 as a records specialist. She also served as a classification counselor, custody unit supervisor, and risk management specialist. Since 2000, Taylor has worked as a dean or transitional dean at Coyote Ridge Corrections Center, Washington State Penitentiary, and Monroe Correctional Complex. Taylor also served as the Washington Corrections Education Association president for two years and was awarded the Governor's Extra Mile Leadership award with her corrections education team at Coyote Ridge Corrections Center and Washington State Penitentiary. She holds a master's degree in Adult Education from University of Phoenix and a bachelor's degree in Criminal Justice from Washington State University. “By offering quality education in prisons, we can help individuals see themselves as students on a new path to a better future for themselves, their families, and our communities” said Taylor.